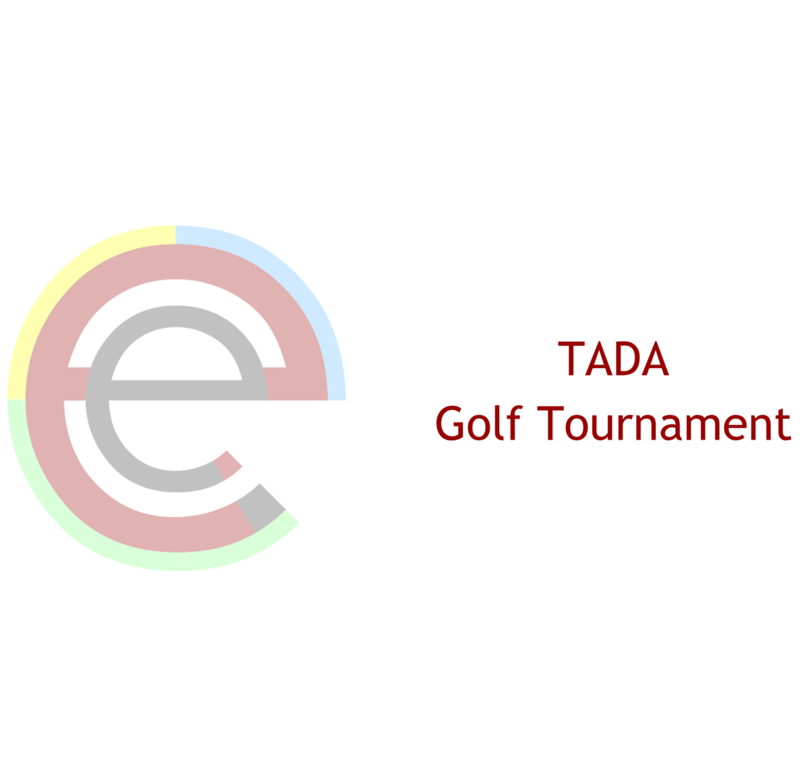 The e-RegisterNow event management software makes registration for a golf tournament secure and easy to implement. Just add a link to your existing website that might say, click here to ‘click here to register golfers’ and begin accepting golf tournament registrations and payment. The e-RegisterNow web design team will create a unique custom registration process that will fit perfectly into your golf tournament website. Let our team work with your staff to produce a well thought out user interface for registering golfers to your tournament. Include an optional dinner or other options for golfers to select during the registration process. Below is an example golf tournament we’ve previously set up. In the example below, the data is also transferred to ACCPAC and an external CRM, in real-time. An API of useful commands exists for updating other systems in real-time. e-RegisterNow also provides a local CRM for storing historical data which becomes useful in future years for email blasts and for remembering player information for those that have previously attended your golf tournament. The e-RegisterNow CRM is automatically populated from the registration forms that golfers fill out as they register for tournaments. 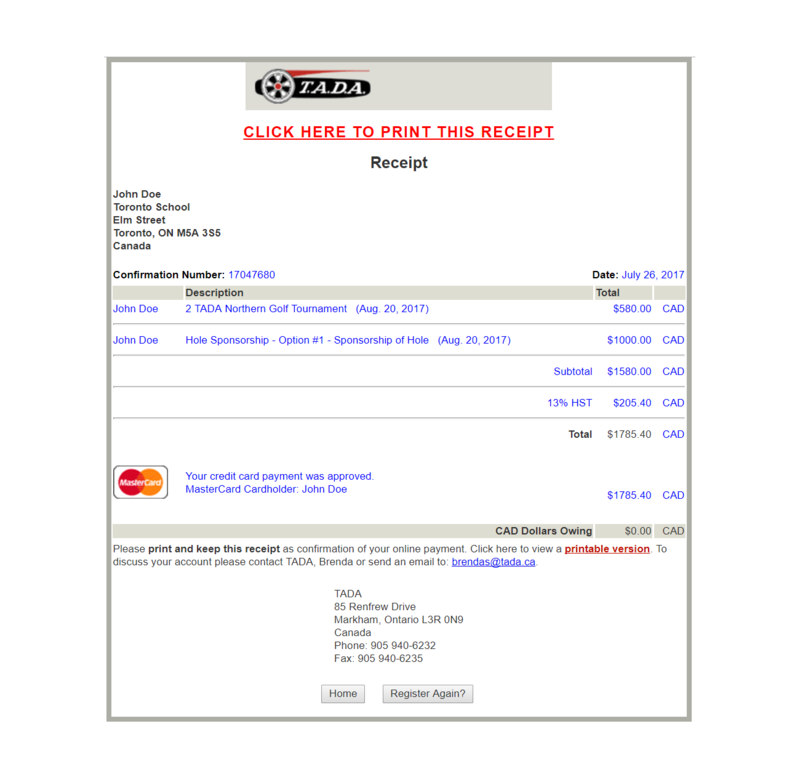 Golfers receive confirmation PDF emails and are added to a local CRM database. Lots of reports exist including, financial reports, a GL trial balance report, enrolment reports and custom reports for generating your own report. The reports are all downloadable to excel for tournament check-in and financial tracking. Corporations often choose to sponsor charity golf tournaments. It’s a great way for them to give back to a good cause and gain recognition in the community. Our golf tournament software makes managing sponsorships easy. 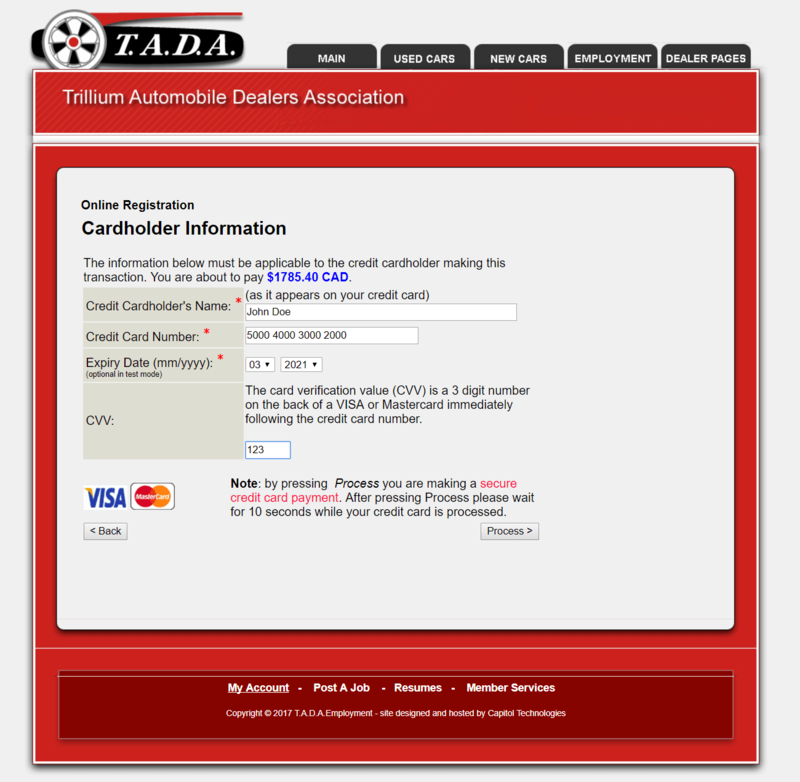 Sponsors can register and make payments online. The event’s html pages can display logos in order to promote sponsors. We recognize that each golf tournament may have several nuances that need to be addressed. Our team of designers are able to deal effectively with adding these nuances into the registration process. Ask optional questions, like are you attending the dinner? Change pricing to reflect the answers from the optional questions. 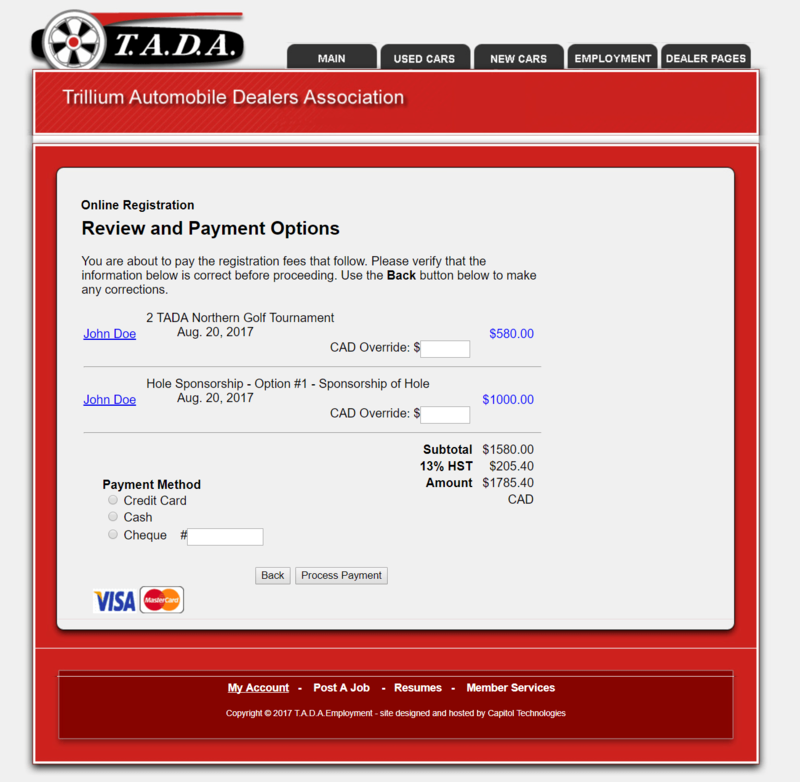 Your golf website registration pages can easily offer the functionality needed for tournament signup and payment. Golfers can clearly view available options and fill out their information. All golfer data is well organized for making useful reports and for marketing purposes in the future. Call us at e-RegisterNow (1 888 218-1020 x101) to discuss your next golf tournament. The e-RegisterNow system can also register and provide tickets for the dinner after the golf tournament. 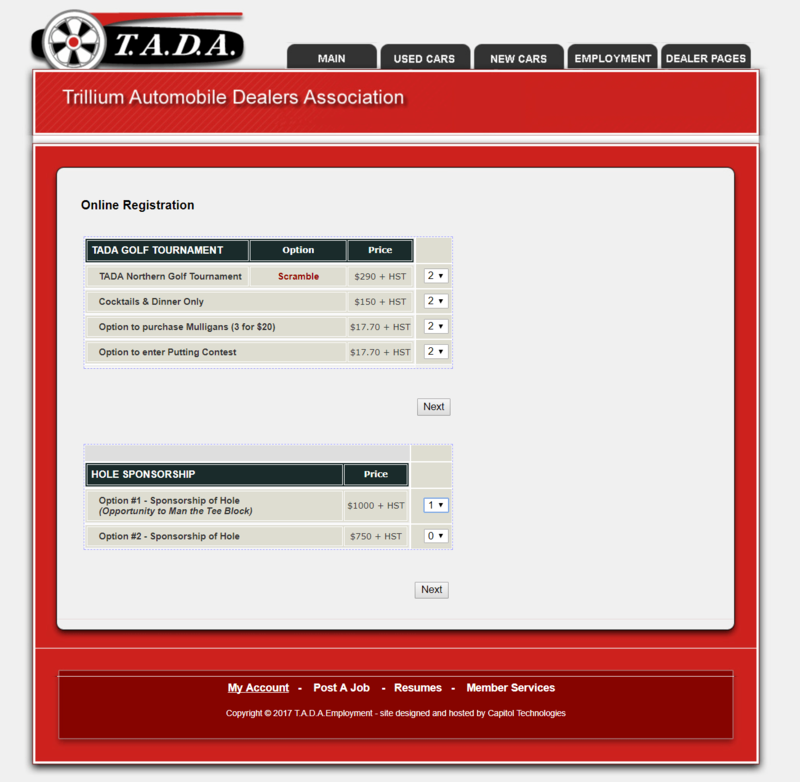 The event registration software has been in production for more than 18 years. A new attendee feature exists, which allows one golfer to register his/her foursome in one transaction. Consider using social media to grow your attendance. The e-RegisterNow and InGo partnership brings to you the most advanced and effective integration of social media into the golfer registration process. The social media option allows the golfer to login first to a social media account, like Facebook. The experience provides the golfer with information on who else is attending the tournament, and allows the golfer to send out email invites to other friends to enable them to also register for the golf tournament.